Yesterday´s event, El Concert per la Llibertat, was a resounding success, that reinforces the path to Independence from Catalan People. 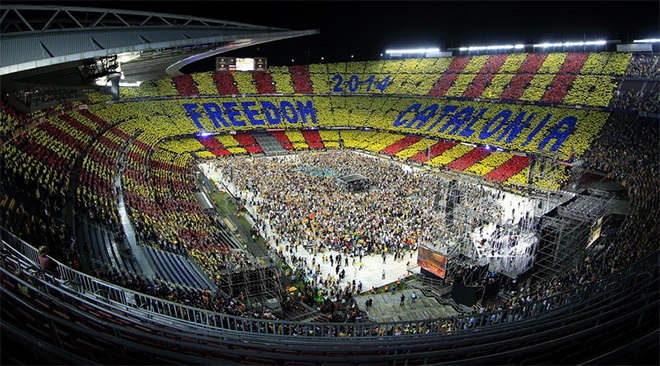 Nearly 90.000 people went to Camp Nou Stadium to show their support to Catalonia’s Independence. One more step forward to reach it done. Congratulations!